Faith and Spirituality in Masters of World Cinema, Volume II continues the work presented in the first volume of this title, published by Cambridge Scholars Publishing in 2008. It provides informed yet accessible articles that will give readers an introduction to masters of world cinema whose works explore the themes of human spirituality and religious faith. Volume II contains essays dealing with canonical directors notably absent from the first entry of the series (such as Godard and Kurosawa) while also including examinations of contemporary auteurs who are still actively working (for example, Andersson, and von Trier). 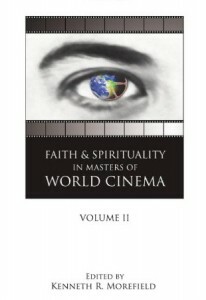 While retaining a truly international emphasis it includes essays about directors from the United States, Canada, Iran, Sweden, India, Denmark, Italy, Mexico, Australia, and Japan Volume II also acts as an important contribution to canon formation, illustrating the complexity and variety in the films of those who are truly the masters of world cinema. Built solidly around close, formal readings of selective films, the essays in Volume II also demonstrate familiarity with film history and bring insight from such varied disciplines as New Testament Studies, Clinical Psychology, Art History, and Medieval History. It also seeks to broaden the understanding of faith and spirituality, examining how the meaning of such terms changes as the cultures that produce the art that defines them continues to evolve.